​Editor’s Note: There is a patch in the works for all versions of Home Sweet Home that may address some of the issues encountered by the reviewer. I truly enjoy the use of various cultural myths, legends, and beliefs to craft specific tones in a game. They are typically excellent sources of whimsy, melancholy, and horror. 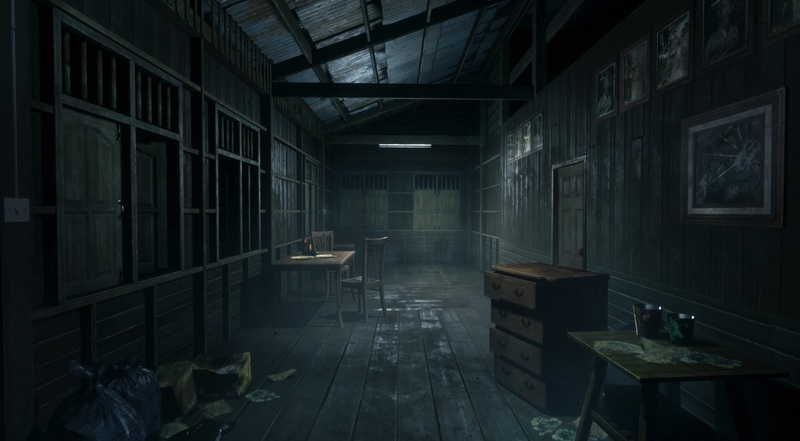 For today’s game, horror is the aim for Home Sweet Home, developed by Thai developer Yggdrazil Group. The game actually released last year, but it has received a release on both PS4 and XBox One so perhaps it’s time to take a look at it. It mainly revolves around Thai myths and superstitions to craft its atmosphere and world. However, how does it pan out as a game? Let’s find out now. The game immediately starts off with our protagonist Tim waking up in a strange room. Unsure where he is, he investigates the surrounding area while also trying to find his wife Jane. During this time however, he comes across the lingering ghost of a student. Upon sight, the ghost attacks Tim, forcing him to run and hide from the spirit. Overall, this is effectively the premise and story of the game. There is a change in creature in one chapter, but otherwise the main threat is the ghost. 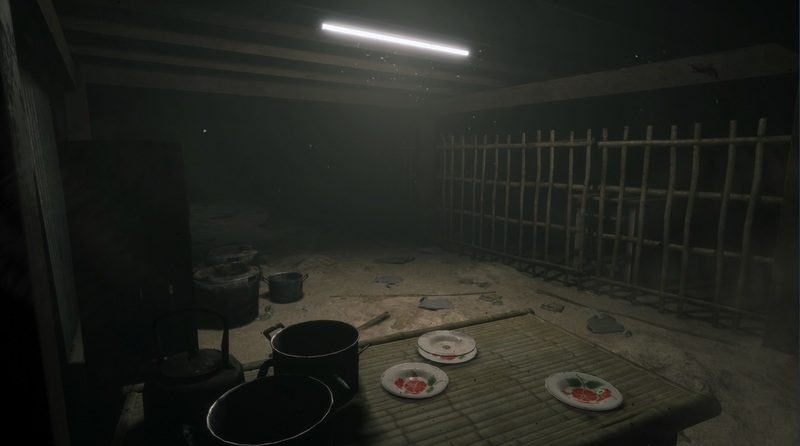 In reality, the story is rather shallow even though one of the more important aspects of a horror game outside of its atmosphere is the story. Tim must find his Jane, but the game never develops outside of that. Instead, the main revelations revolve around the ghost and her past, where even that is exceptionally simple. My primary issue with this is that it makes the overall adventure feel rather passive. As such, the world itself also feels rather empty until the very end. There are Jane’s diary pages scattered around, detailing her descent into madness, but even those are more about the past where they hardly differentiate from each other after a point. Unfortunately, such an issue creeps into the environment. Due to the lack of actual story, rooms rarely explain the world visually. This is incredibly problematic when the game overuses blood plastered across stone walls and floors, almost as if it doesn’t have much else to convey atmosphere. There are areas with a clear purpose such as a science lab, but usually they’re just there to house an obstacle to overcome. There is also the matter that the ghost effectively wields a small pick and you can find items such as crowbars. At one point you’ll actually find a charm to protect you, letting you fight back and knock the ghost down. Personally, my suspension of disbelief can only go so far. The gameplay is also far from memorable. As it is typical in games that makes the player character completely defenseless, the game relies on stealth and puzzles to craft challenges. The issue with stealth in particular is that it is overly simplistic. You crouch, go behind obstacles, and hide in lockers to avoid detection. You can peek to get a better idea where threats are but that is the game’s approach to stealth from beginning to end. I understand the idea of defenseless characters and hoping you don’t get caught can build tension in horror games. However, in this case it just becomes more of a boring slog. At the end of the game, I was frustrated by the very fact I found more stealth segments instead of being tense at the prospect of being found. As for the other kind of challenge, there are a couple puzzles in the game though those present are not exactly spectacular. There is one puzzle involving a safe that takes a healthy amount of thinking to solve which is interesting. However, other puzzles are either obtuse to solve or overly simplistic. Outside of the safe, there is no healthy middle ground. That said, from a graphical standpoint, the game looks surprisingly wonderful. While the character models could be a bit better, the environment, even if it lacks artistry, is very detailed. As such, the game can still provide at least a small amount of tension while exploring. That said, the lighting can certainly be much better. On the TV I use, I have to put the brightness setting in games extremely high because dark areas normally are pitch black. 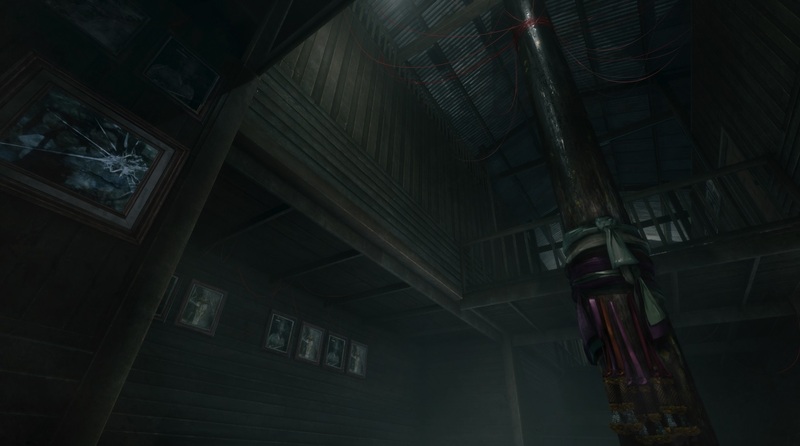 Yet, this brought another issue for this game, specifically with bright lights such as the flashlight. Because the brightness setting was so high, certain objects and even words became obscured by light. The description for items and text documents became more difficult to read because of this. From the technical standpoint, the game can have a bit of jank in regards to the movement of creatures. For example, there was an instance where the ghost of the student literally walked into a wall non-stop. The instance this happened was actually beneficial, but it can mean that the path of progress is blocked. For the ghost thankfully, after a point, getting caught is not an instant kill but it’s a tad frustrating nonetheless. The voice audio is also strangely low, as I could hardly hear much of the voice acting in the game. It didn’t help that the subtitles were actually cut off mid-way on the bottom of the screen. Overall, for more avid fans of the horror genre, Home Sweet Home can provide a middling but decent experience. The main issue is that I wish most aspects of the game were developed more. If there were more to the story and environments, the atmosphere could’ve been more unnerving, as everything had more meaning. There are plans for a sequel, so perhaps Yggdrazil Group could do just that to make a more vivid experience. If they were to use more of a variety of superstitions and give them more screen time, it could lead to an interesting development for Tim and what they all mean to him. However, in the end, it may be best to wait for a price drop, as $16.99 is rather steep for what amounts to three to four hours of game. It is an okay game with decent ideas, but there could’ve been more to the package.